Cycling and the Law: What is a “Cycle”? 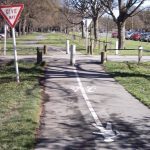 This is the start of a planned series of articles to help readers understand some of the legal ins and outs of cycling in NZ. I get lots of questions about this, and clearly there is a bit of confusion and misunderstanding on some matters, so I thought I’d try to fill in some of the blanks for you. Disclaimer: I am not a lawyer; this is all based on my research into these matters over the years (and I welcome any legal expertise offered by our readers where you feel any correction/clarification is required). While this material should help you be aware of the basics of the relevant legislation, as always, you should seek your own independent legal advice if faced with a Police matter relating to these issues. Be aware too that overseas laws may differ from what is stated here. Obviously there are lots of things that people would like to know about give way rules, keeping left, riding two abreast, and so on (if you have any specific questions you’d like me to look at, please contact me). But I thought that it made sense to start first by getting the fundamentals and definitions right, to avoid any later confusion. Hence I’ll begin with the basic question: “what is a cycle”? Seems fairly straightforward, although you may be wondering about what is defined by a “power-assisted cycle”. The Rule clarifies this further to mean “a cycle to which is attached one or more auxiliary propulsion motors that have a combined maximum power output not exceeding 300 W” – typically your standard electric bike. Because of the confusion around some of the “bikes” out there, NZ Transport Agency goes even further to clarify what is considered a humble bike and what might need either vehicle registration or driver licensing (e.g. a petrol-engine powered bike is considered a “moped” – assuming that you could get it registered…). (3) A “driver” of a vehicle “includes the rider of the motorcycle or moped or bicycle”, and any references to “drive” or “driving” also relate to someone cycling. Anything in the Land Transport Act or Road Rules that refers to a “vehicle” or “driver” also applies to someone cycling, unless explicitly excluded. 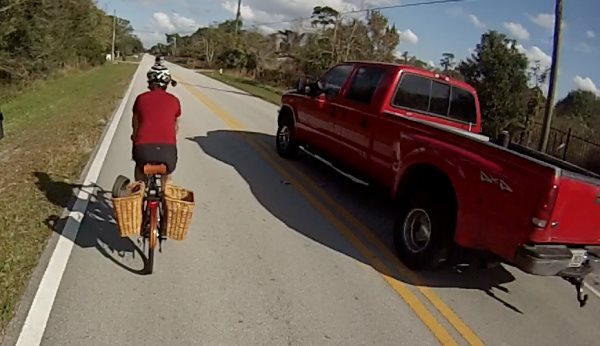 Hence, cyclists typically have to follow the same rules as motorists, such as giving way, obeying signs, not speeding, and generally not being “careless or inconsiderate” (conversely, motorists must generally also apply the same obligations towards cyclists as they would any other motor vehicle). If you have a crash involving a cycle, all parties must also stop and render any assistance, and report it to Police. There are, however, plenty of exceptions that specifically exempt cyclists from the same requirements as motorists (for better or worse). 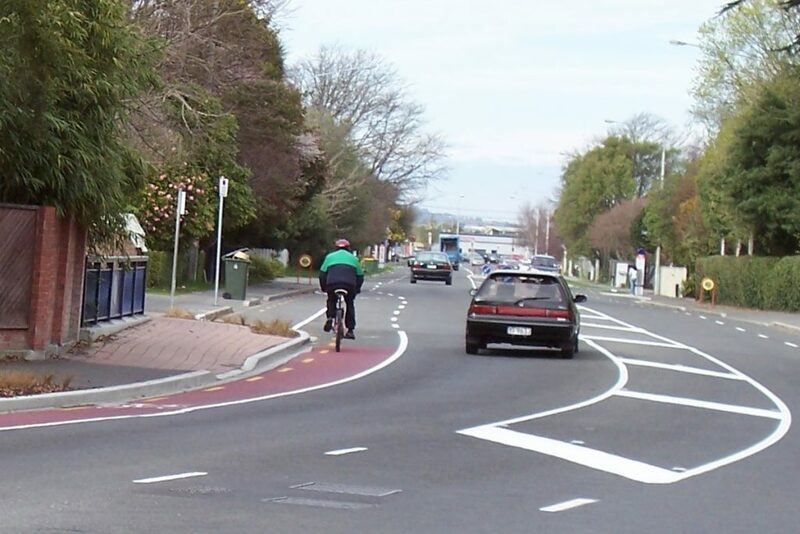 These include cyclists turning right at intersections from the left, stopping in an advance stop box, not having to signal in roundabouts, and riding two abreast. Motorists can also overtake cyclists even with a yellow centreline; the no-overtaking restrictions only apply to other motor vehicles and “animal-drawn vehicles” (resist the cute observation that a bike is, technically, an animal-drawn vehicle too…). 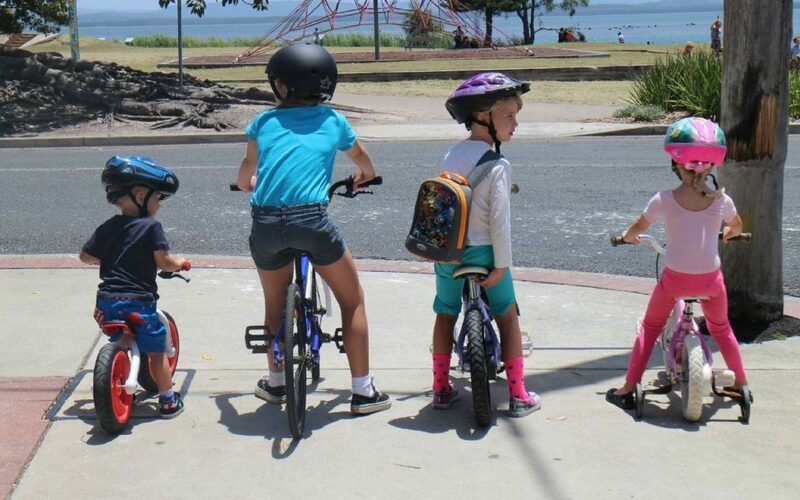 While virtually every aspect of NZ traffic law refers to “cyclists” and “cycles”, there is one curious exception – helmets. Strangely, the Road User Rule states “A person must not ride, or be carried on, a bicycle on a road unless the person is wearing a safety helmet of an approved standard that is securely fastened”. So I guess that, if you have your bakfiets trike or recumbent three-wheeler (or even just put on your training wheels? ), you are free to ride with the wind in your hair… I don’t know, this particular scenario has never been put to the test in Court apparently (the judge in the Gallagher vs NZ Police 1999 case noted this possibility). As you can see, even a simple question of “what is a cycle?” results in some important implications for people riding their bikes (or “cycles” of some description). When we resume our legal series, we will next consider the question of where can you actually ride your bike and the rights/obligations that go with that. Do you have any tricky legal questions about cycling in New Zealand? Very interesting post. Thanks. Look forward to seeing the others in the series. Thanks Glen! Will keep this link in the toolbox, looks like it will get frequent use. What about those electric scooters that have pedals and a max power of 300W ? The ones styled like a step-through scooter. Does towing a trailer make your bicycle into a cycle by the above definition? Unicycles – absolutely have less than two wheels, so where do they sit on the legal spectrum? One chap here at work has ridden the width of the UK on a unicycle, he commutes to work on it now. Cameras (gopro/action cameras) on your bike – admissible as evidence ? A good idea legally? 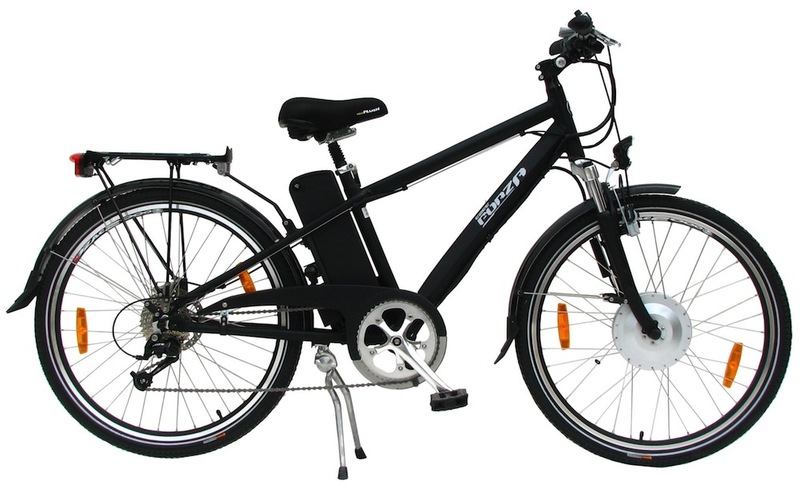 You might want to have a look at NZTA Research Report 621 on e-bikes and other low powered devices for more info (https://www.nzta.govt.nz/resources/research/reports/621/), but in a nutshell: (1) an e-bike has to be propelled predominantly using pedal power (i.e. not just pedals as vestigial decorations), so most scooter-style electric cycles would be considered a moped; there is NZ case law on this. (2) The law only refers to “cycles” (except for that weird bike-helmet clause), so a bike towing a trailer is still a cycle. 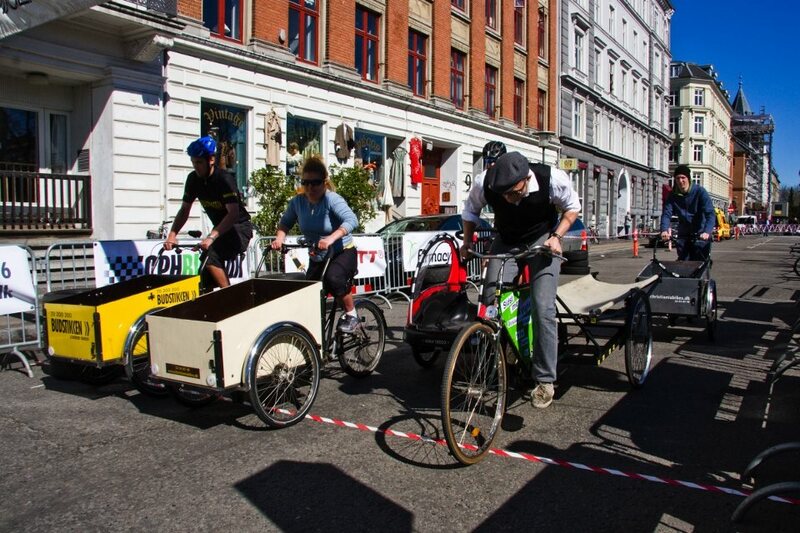 (3) a uni-cycle would be a “wheeled recreational device”; cycles have at least 2 wheels. Next Next post: Where would you like some bike parking?